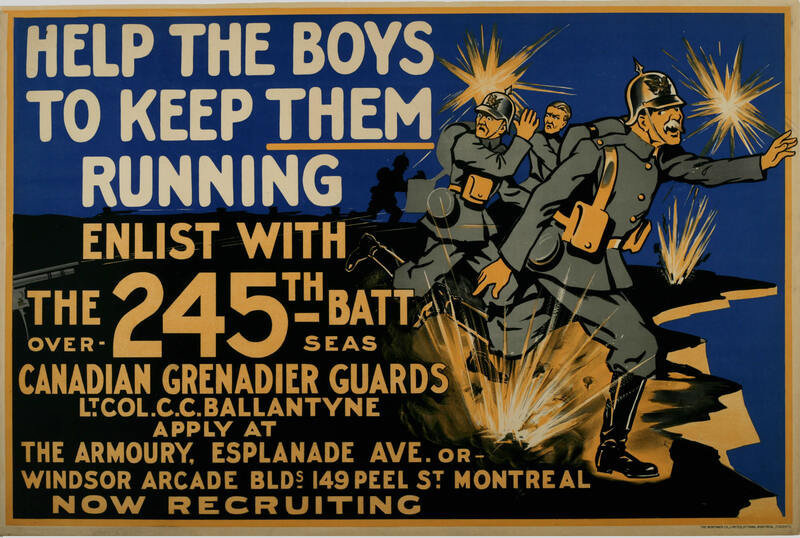 Shells explode and German soldiers flee in panic in this colourful recruitment poster for the 245th Battalion, Canadian Grenadier Guards. Raised in Montreal, the 245th sailed to England in 1917 where the battalion was broken up and absorbed by the 23rd Reserve Battalion. The soldiers were subsequently sent to the front as reinforcements for numerous other front line battalions.